Where are they? The silence is deafening. The great and the good, the wealthy celebrities who stood in solidarity with the poor and oppressed from behind their mansion walls and atop their multi-million dollar fortunes. 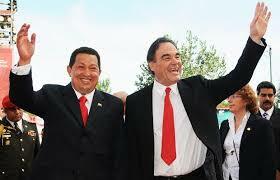 Where are the career politicians on both sides of the Atlantic who, bloated on taxpayer funded loot, paraded before the world's media proclaiming their support for the late Hugo Chavez and his socialist revolution. The revolution that was going to abolish inequality and empower the disenfranchised and downtrodden? 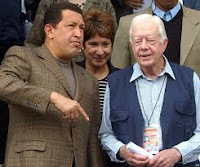 Where is the former President of the United States, Jimmy Carter, who gave his blessing to the the rigged election that saw the dictator Chavez returned to power? It has come to pass that from behind his walled citadel the Pope never misses an opportunity to lecture the civilised, developed world about their obligations to economic migrants and their duty to share their non-existent wealth but he's swallowed his tongue on the consequences of wealth sharing in Venezuela. Most disturbingly of all, where is the media? Where are the images of the food lines and empty supermarket shelves, of desperate people looting the scarce goods that are available in order to feed themselves and their families? 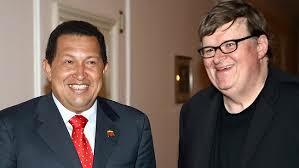 As resource rich Venezuela descends into chaos and the people resort to eating garbage as a side dish to feral cats and dogs the current socialist dictator, Nicolas Maduro, has built what socialist dictators throughout history have always built, i.e. a tyrannical totalitarian state. With this disaster unfolding in Venezuela, along with similar disasters across the planet including Greece, North Korea, Zimbabwe, Argentina, Puerto Rico etc. etc., the noisiest proponents for socialism have gone eerily silent. 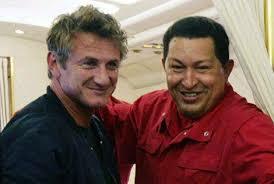 The world is waiting with baited breath to hear from Hugo Chavez cheerleaders Sean Penn, Oliver Stone, Michael Moore, Danny Glover and Former President Jimmy Carter. From Great Britain the world waits for words of wisdom on Venezuelan socialism from far-left Labour Party leader Jeremy Corbyn along with his former girlfriend and Shadow Minister of State for International Development, Dianne Abbot. 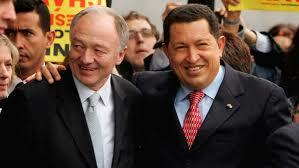 Other high profile cheerleaders for Venezuelan socialism are former Mayor of London Ken Livingstone and darling of left-wing journalism, Owen Jones, who are both conspicuous by their absence. In the USA, when asked to comment on the socialist disaster unfolding in Venezuela, Democratic Party candidate for the presidential nomination, Bernie Sanders, refused to answer adding that he wants to concentrate on his campaign. For the uninitiated, Sanders is campaigning for a socialist society in the USA. In other words he wants the same system that has wrecked Venezuela and reduced its citizens to abject poverty and starvation to be imposed on the American people. His competitor for the nomination, former First Lady, Secretary of State and Alinskyite socialist, Hillary Clinton has also remained tight lipped about the disaster in Venezuela. In conclusion, while it would appear that the cat has got the tongues of the aforementioned cheerleaders for socialism there is a reason for their silence. It's been bought with a promise that they will be immune from the consequences of a Venezuelan type catastrophe that will affect all the nations on earth if the UN/EU gets its way. For those who follow global politics and world events it is plainly obvious that the UN/EU controlled global elite are engineering a one world, borderless planet based on the principles of total equality between nations, cultures and peoples. The whole world cannot be upgraded to western levels of prosperity, therefore in order to achieve global equality western nations must be downgraded accordingly and made less prosperous. The continuous war on the middle class is proof positive of this. That end result will be, as it always is in socialist societies, a governing elite immune from the consequences of their actions controlling the wealth of the planet and the rest of us plebs fighting for scraps. 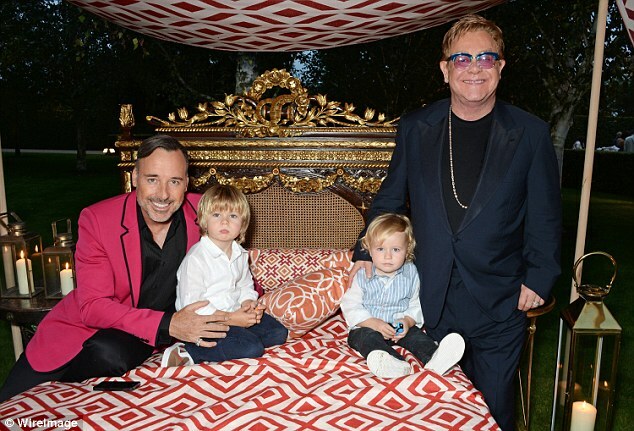 One of Great Britain's highest selling newspapers, along with its online version, published a gushing article recently titled "Portrait Of A Perfect Marriage", an intimate story detailing the courtship, loving marriage and idyllic family life of Sir Elton John and his partner/wife/husband David Furnish. The article's over use of sugary language to describe their union makes one wonder if this isn't the most idyllic marriage ever in the history human relationships. The Daily Mail article on May 19th informs the reader that it was eleven years ago this month that Sir Elton proposed to David, thus formalizing a relationship that - as the world knows - has blossomed into one of the most blissfully happy of show business marriages. Apparently we know this because they have been generous enough to share almost every detail of their perfect family life with articles and interviews in celebrity magazines and high profile TV interviews. Untainted by even a whiff of scandal or impropriety this truly wonderfully loving couple makes all other celebrity relationships appear insincere by comparison. The article highlights their deep love for each other with David confirming that that he is committed to Sir Elton, the person he wants to spend the rest of his life with. 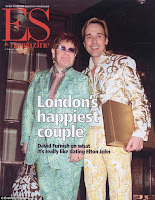 Surprisingly in the same 19th May edition the Daily Mail ran a second article on Sir Elton John and David Furnish who posed for the cameras after enjoying a meal together at a top London restaurant. Along with the marriage of celebrity chef Jamie Oliver and Jools Norton, the marriage of David Beckham and Victoria 'Posh Spice' Adams are portrayed by the media as examples of successful scandal free celebrity marriages. They are of course heterosexual unions so in this age of overt political correctness there needs to be a counterbalance and the John/Furnish union not only fulfills that purpose but it gives succour to the ever more powerful gay lobby and their imposition of the LGBT agenda. and their families are as normal, natural and idyllic as as the Oliver and Beckham unions. Despite being widely known everywhere else on the planet, including Scotland and Ireland, the Supreme Court judges have ruled to censor the press and deny the right of the people of England and Wales to know the true nature of a celebrity couple's marriage allowing instead for the media created image of perfection to prevail. According to reports, one half of the celebrity marriage took part in a depraved sexual encounter with another couple who were happy for the issue to be made public. Apparently, this exposure would have shattered the carefully nurtured public image of an idyllic marriage and happy family life. 'Think of the children' is another threadbare excuse for the judges to censor the truth. Exposing the truth would hurt the children who, apparently, believe the image makers as opposed to the truth about one of their parents. It is worth noting that despite there being children involved, similar injunctions to censor extra- marital sexual encounters involving married people have been refused. This includes high profile football players John Terry and Ryan Giggs, BBC broadcaster Andrew Marr and former Top Gear presenter Jeremy Clarkson. In conclusion, equal justice under the law is a centuries old British tradition and requires consistency of those responsible for its application. In the interests of British justice, lifting the injunction would be the right thing to do and if celebrities want to avoid negative publicity they should not cheat on their partners and more importantly their children by indulging in improper sexual relations. 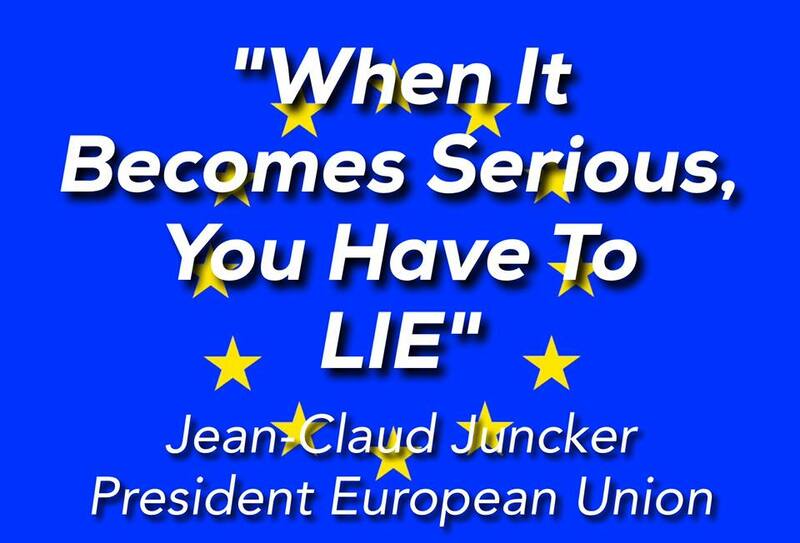 When former Mayor of London and leading campaigner for Great Britain's exit from the European Union, Boris Johnson, reminded the electorate that attempts to force the independent nation states of Europe into one centrally controlled country had been tried many times previously, including by Hitler, the manufactured outrage was laughably predictable. Member of Parliament Johnson, an Oxford University Classical scholar and historian, merely pointed out that previous attempts by the Romans, Napoleon and Hitler to forcibly create and dominate a single European state have all failed because there has been no desire for it by the various peoples of Europe. He made it absolutely clear that he was not making a direct comparison between the current political elite and Hitler's henchmen but pointing out that they were trying to achieve the same goal but by different methods. The howls of outrage from EU supporters, and the usual suspects from the socialist/liberal/self loathing community, was so obviously manufactured it failed to take into account the actual realities of history. The faux outrage was surpassed by Labour MP and Shadow Foreign Secretary, Hillary Benn, who claimed to be 'offended' by the centrally controlled superstate comparison. Hitler's plan for Grossgermanisches Reich or Greater Germanic Reich is well documented whereby he envisaged a German controlled Europe from the "the Urals to the Atlantic". At worse this behaviour is denying history, at best it's re-writing history. Any student of politics will be well aware that this denial and re-writing of history is standard operating procedure not only for tyrants but also for the modern day members of the aforementioned socialist/liberal/self loathing community along with the agenda driven political elite. The vision of the Greater Germanic Reich of a European state has been resurrected by none other than British Prime Minister and European superstate fanatic, David Cameron, when he addressed, and deliberately misled, students in the former Soviet Republic of Kazakhstan.